You may be asking yourself right about now: 1) "What is a leek, anyway?" and 2) "Don't you just clean them like any other vegetable?" I am here to answer both questions! 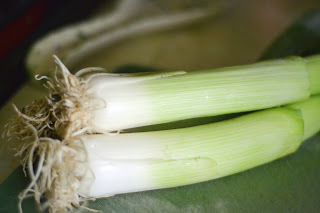 A leek is part of the Amaryllidaceae family and Allioideae subfamily (if you want to get all biological about it), but the simple explanation is that it's a vegetable related to garlic, onion, shallots and scallions. It has a mild onion flavor, but tastes a little fresher, more like a scallion. It's often used in cooking stocks and soups (like my Potage Crécy), but can be used in quiches and salads as well. 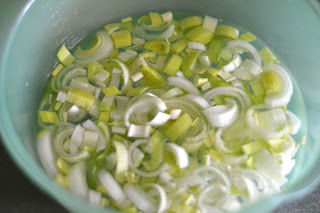 If you haven't tried a leek, take a test run next time you need an onion! Leeks, however, can be very dirty and sandy between its layers because of the way it's grown, so you have to do a special cleaning. Below is how I clean a leek. It's quick and easy and is guaranteed to get all of that dirt off of your vegetable! Next, you'll want to cut the leek in half lengthwise. 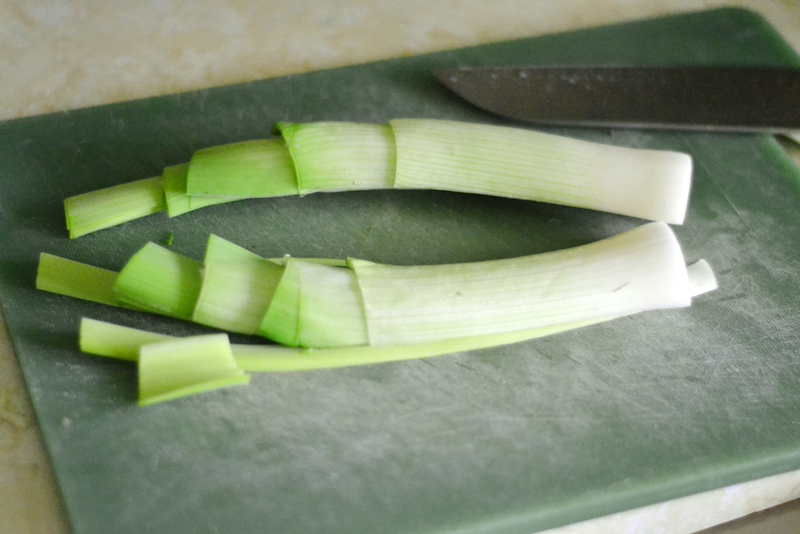 You could leave the leek whole at this point if you wanted perfect rings, but it's definitely easier to cut if you halve it. 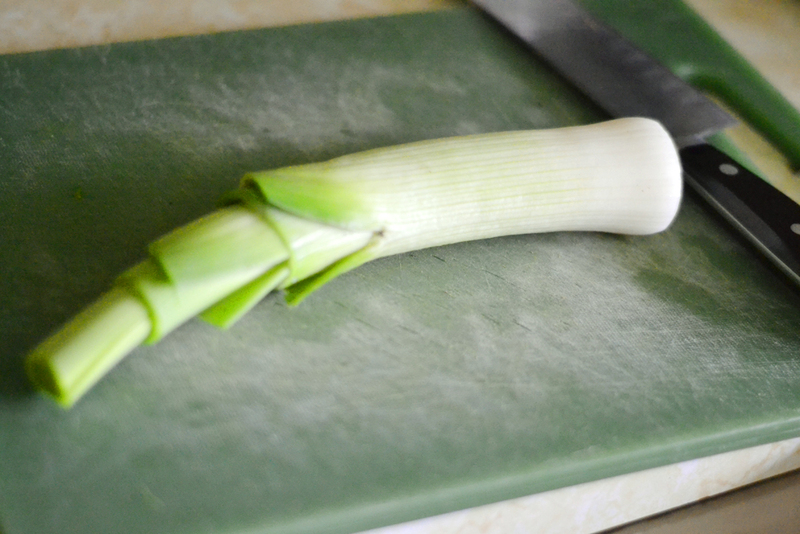 Slice your leek. I usually slice them into about 1/4" pieces, but feel free to slice them as thick as you'd like, depending on your recipe. And finally, place them in a large bowl of cold water. Swish them around a bit with your fingers to loosen up the soil. Let them sit for a few minutes. Carefully remove them to a paper towel to drain. All of that dirt and soil should be left behind in the bottom of the bowl! And now your leeks are clean and ready to go! 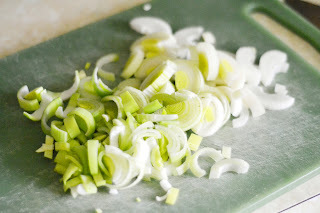 What is your favorite recipe with leeks? Great step-by-step photos. Thanks for sharing! I am always very intimidated by leeks because I can never seem to get all the sand out. This will be very helpful. Simply because prior to this suggested, a lot of these running watches can be old classic and even stunning. They have also been somewhat handy. A lot of these running watches travel totally in a party. Regardless if you may be having fun in an important nights high-quality eating dinner, and you'll find it yet another afternoon at the workplace, it brand's unsecured personal start looking hardly ever fades in pattern. fake chanel outlet There are a selection in different types you could choose which will suit your special is more enjoyable and even choice. hermes bags replica Regardless if you prefer a product highly amazing, and you are anticipating an added low and even demure start looking, it high-quality sit back and watch stylish comes with the appropriate suit for everyone. louis vuitton monogram outlet Even while a lot of these running watches can be respected with regard to pattern and even style, they have also been best-known with regard to rate. Then again, you will find a numerous reasons a lot of these running watches typically are not economical. Rolex running watches can be with care manufactured to help you transcend maximum traditional in high-quality with the sit back and watch trade. gucci flora replica Through various very simple to use good care, ones own sit back and watch could very well carry on ones own many decades. fake rolex What's more, a lot of these running watches normally hold ones own significance. In the collectables advertise, a lot of these running watches can be incorporate a recognized types of all other product you can get. Thank you for sharing. I'll try your method. I usually use hot water, but probably that's not enough.